One of the tallest of the limestone-clad apartment houses on Fifth Avenue, this prominent 17-story structure has one of the most distinctive rooflines along the avenue. 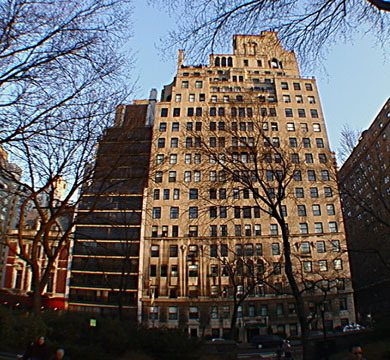 The building was erected in 1930 by Anthony Paterno and was designed by Rosario Candela, one of the city's most prominent designers of luxury apartment buildings in the late 1920's and early 1930's. 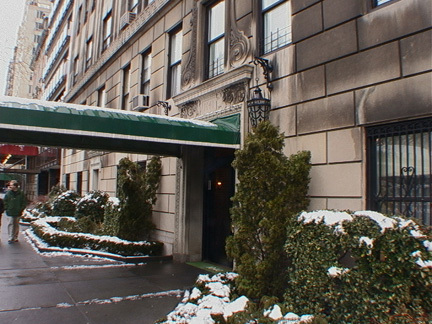 The asymmetrical roof, which is setback and clad in a pale yellow brick, has several tall arches whose openings were filled nicely with huge windows in the late 1990's in a remodeling of the spectacular penthouse. The handsome rooftop design is somewhat similar to the roof at Ten Gracie Square, which was erected in the same year and designed by Van Wart & Wein with Pennington & Lewis. The canopied entrance has very attractive cast-iron doors and extensive sidewalk landscaping. 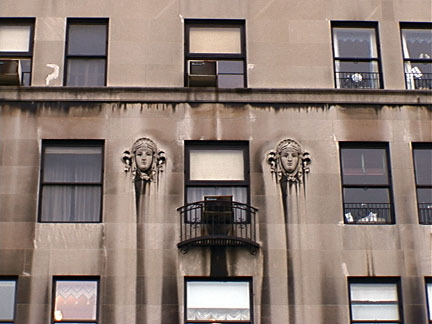 The facade, which has had many repairs, is relatively plain except for several sculpted faces at the fifth story. 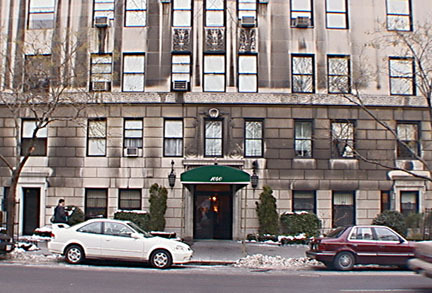 The large building has only 27 apartments and has had many prominent residents, including the late Jacqueline Kennedy Onassis. The building is one block north of the Metropolitan Museum of Art. It is convenient to cross-town bus service on 86th and 85th Streets, although there is a fair bit of traffic as 85th Street is the entrance to a Central Park transverse road. The building has several terraces, a concierge, a doorman, and nice sidewalk landscaping, but no garage and no health club.